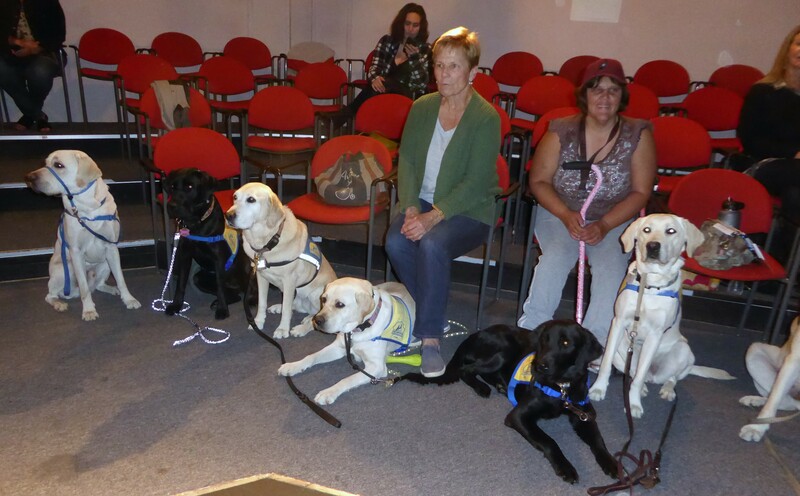 Eleven Canine Companions for Independence from the South Bay Chapter attended their first live theater production. They arrived on leash with their puppy raisers for the Santa Clara Players dress rehearsal performance of Exit the Body on Oct. 25. Two of the puppies claimed the best location for viewing — on the floor in the front row, level with the stage action. They sprawled out with their dog bones and lounged patiently as the comedy unfolded over two and a half hours. “This is their first time to go to a live stage production with people in the audience applauding and actors on the stage screaming and sneaking in and out of doors in the dark and the phone ringing,” said puppy raiser Debbie Doeltz, who had two dogs at her feet. The puppies were well behaved — except in the last scene when the theater went dark and actors with flashlights crisscrossed the stage. One surprised puppy let out a bark, then another puppy and another joined in. The actors didn’t miss a beat. Sue Guzman, Canine Companions for Independence (CCI) South Bay Chapter president, explained that a puppy raiser has three main responsibilities. The first are to teach the puppy house manners and about 35 one-word commands to enable it to be the arms, legs or ears of the person it will assist. 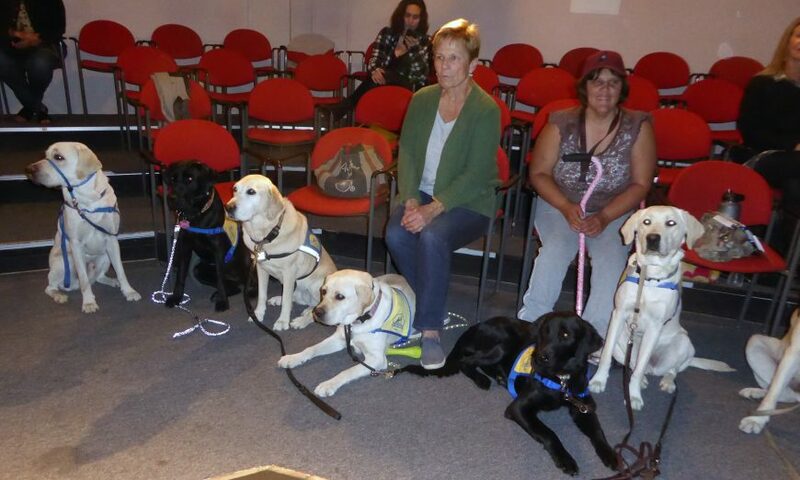 Guide Dogs for the Blind in San Rafael trains dogs for the blind. The third responsibility is to socialize the puppy in public. The puppies travel on buses and Cal Train and sailboats. They visit Mineta San Jose International Airport, where they pass though security check and board Hawaiian Airlines planes that overnight in San Jose. The puppies go to the grocery store and Santana Row. They attend concerts and movies. They’ve been to Levi’s Stadium and San Jose Giants games. CCI, which uses select breeders, learned from experience that pure golden retrievers and Labrador retrievers (the world’s most popular dog breed) and cross breeds of the two, are best suited to be CCI assistance dogs. They are intelligent with a calm, gentle, friendly temperament. Their medium to large size enables them to pull a wheel chair if needed. CCI has six regional training centers, including Santa Rosa, where it began in 1975. After 18 months in private homes, the puppies receive six months of professional training at a regional center. Each dog is matched with a client and taught the particular skills needed to assist that person. CCI is one of 200 organizations nationwide that train assistance dogs. In the beginning, only 15 percent of CCI dogs graduated. Today, with better training, one out of every two dogs is certified. Since 1975, CCI has placed about 6,000 dogs — over 500 in 2017, providing them free of charge. Wait time is one to two years. 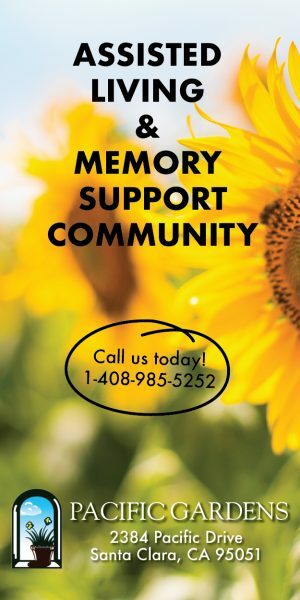 Visit CCI at www.cci.org and Canine Companions South Bay Chapter on Facebook. On Nov. 25 at Kendra Scott jewelry store in Santana Row, San Jose, 25 percent of all sales will be donated to CCI.